Valid cross-country comparisons of student learning and pivotal factors contributing to it, such as teaching quality, offer the possibility to learn from outstandingly effective educational systems across the world and to improve learning in classrooms by providing policy relevant information. 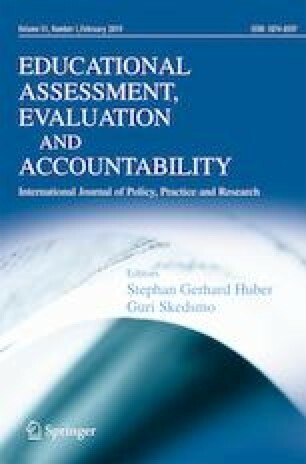 Yet, it often remains unclear whether the instruments used in international large–scale assessments work similarly across different cultural and linguistic groups, and thus can be used for comparing them. Using PISA 2012 data, we investigated data comparability of three teaching quality dimensions, namely student support, classroom management, and cognitive activation using a newly developed psychometric approach, namely alignment. Focusing on 15 countries, grouped into five linguistic clusters, we secondly assessed the impact of linguistic similarity on data comparability. Main findings include that (1) comparability of teaching quality measures is limited when comparing linguistically diverse countries; (2) the level of comparability varies across dimensions; (3) linguistic similarity considerably enhances the degree of comparability, except across the Chinese-speaking countries. Our study illustrates new and more flexible possibilities to test for data comparability and outlines the importance to consider cultural and linguistic differences when comparing teaching-related measures across groups. We discuss possible sources of lacking data comparability and implications for comparative educational research.